This popular - Lift and Rise- Recliner is also available with the beautiful look and feel of Dark Beech or Light Oak knuckles. Exceptionally comfortable design with soft -chaise- seating and a welcoming fibre-filled back cushion. - Supplied with castors for ease of movement. Front castors lift away to ensure stability in raised positions. Glides now available as an alternative to castors for solid flooring. Choice of Dark Beech or Light Oak polished knuckles. 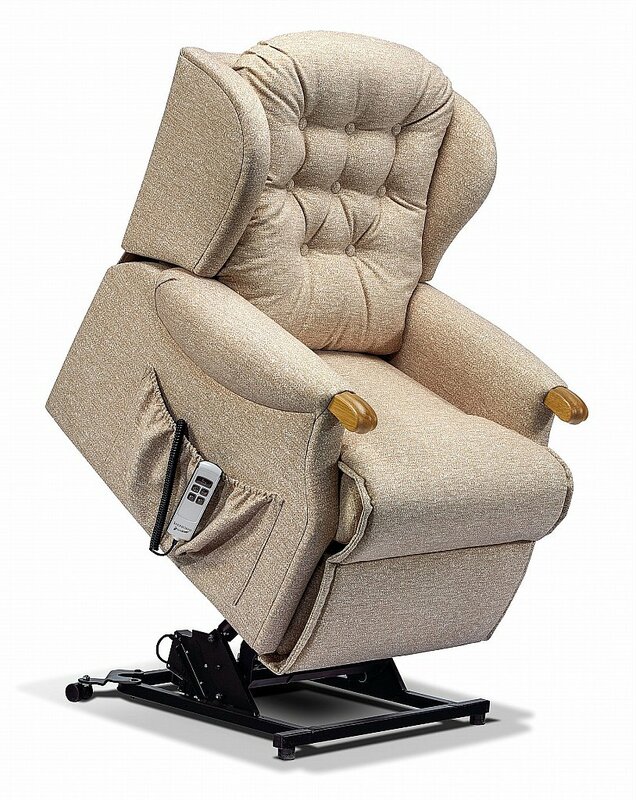 I would like more information about Lynton Knuckle Petite Lift + Rise Recliner by Sherborne.